Eye serums, wrinkle cream and other against maturing skin care items can reduce indications of maturing. To make a really successful hostile to maturing skin care arrange, in any case, it begins with sound skin care propensities. Prevent (or clear up) a smudged composition. Retain skin’s energetic solidness longer. Reduce barely recognizable differences and wrinkles. Keep appearance looking brighter and more youthful. To help you make your own hostile to maturing skin care arrange, you’ll discover scratch solid skin care propensities beneath. A long time of research backings each of these proposals. Cosmetic Surgery: The most common and popular way to arrest aging is through cosmetic surgery. Brow lifts, neck lifts and facelifts are the most popular surgical treatments to reduce signs of aging. You can opt for a single procedure, or you can choose to undergo a combination of procedures to treat your aging skin. Filler Injections: Dermal fillers are injected under the external layer of skin to fill in wrinkles and lines. Fillers also add dimension to your face. Previously silicone fillers were very popular; nowadays dermatologists prefer hyaluronic acid fillers. Collagen Treatment: This treatment offers intensive hydration, proven reduction of lines and wrinkles, improvement in cell metabolism, improvement in skin regeneration, and tightens and firms. Botox: Otherwise known as Botulinum toxin, it relaxes skin muscles when injected under your skin. This smooths out the lines or wrinkles on your face. 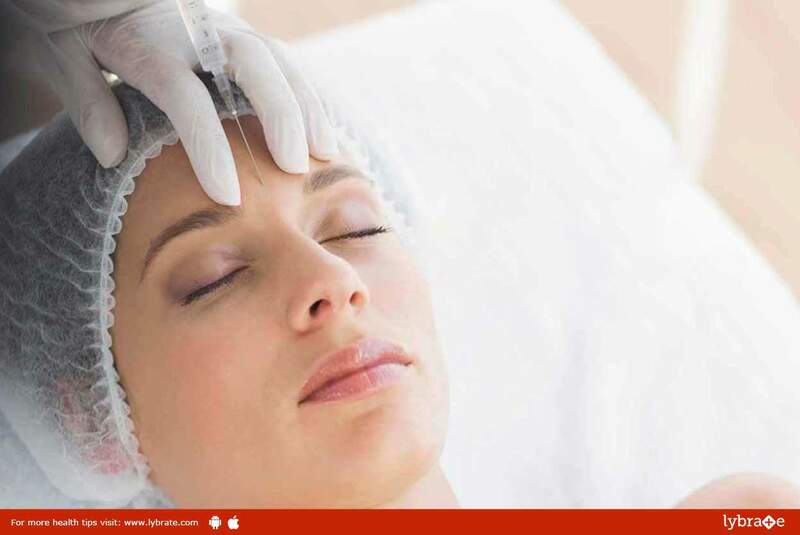 Botinol Treatment: It is a non-invasive anti-aging derma-procedure. This intensive treatment for superficial and deeper wrinkles combines strong anti-aging actives (such as retinol). It has botox-like action to relax and reduce expression lines and wrinkles. Botinol is a new technology that revitalizes, re-densifies and energizes the skin. Chemical Peel: A clinically proven formulation that helps to reduce the depth of surface lines, smooths rough skin texture, treat discolouration and redness, and assist with acne/blemished skin without the recovery times associated with chemical peels. Micro Dermabrasion: A progressive, noninvasive procedure for skin resurfacing. This micro controlled system gradually abrades epidermal cells to treat a vast range of skin imperfections, such as sun-damaged wrinkles, enlarged pores, blackheads, superficial scars and stretch marks. Compu-lift (micro currents): This treatment offers tightening, firms and tones sagging muscles, reduces expression lines, redefines facial lines, and increases elasticity. Compu-lift can also be used to tone breasts after pregnancy or weight loss. ← Overview Of Thyroid Disease In Pregnancy!